The Fringe is a melting pot of cultures with acts from every corner of the globe. However African stand-up is still a rarity. 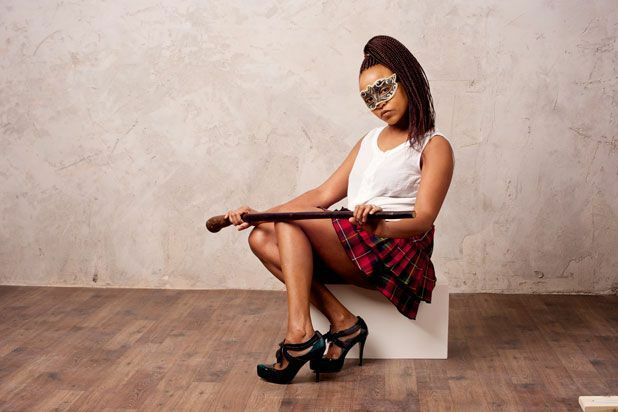 Kenyan comic Njambi McGrath has been slowly making a name for herself on the London circuit, reaching the finals in several comedy competitions over the last few years. Drawing most of her material from her life growing up in rural Kenya, some of McGrath's routine needs fine tuning but the absence of slick soulless delivery works in her favour. Before you know it, she's hit you with some devastating abortion statistics or you'll realise you're laughing at a gag about female genital mutilation (she even turns an attempted kidnapping into an amusing anecdote). McGrath's upbeat enthusiasm draws you in, emphasising her point of view rather than slapping you round the face with dry facts and figures. There are some brilliantly smart moments playing on tired stereotypes, the disparity of wealth between the UK and Kenya and how real life doesn't fit into neat media-constructed boxes. There's dancing, music and a flipboard but these elements aren't what sets McGrath apart. Her material and perspective is so fresh and new, there genuinely isn't another stand up show like Devil's Door Bell at this year's Fringe. Just the Tonic at The Mash House, 226 0000, until 29 Aug (not 18, 23), 5pm, free.